Andrea Traverse is a Client Serves Specialist in the Client Services Center at WIDA. She provides information to school administrators and teachers about WIDA assessment tools, professional training, and services. 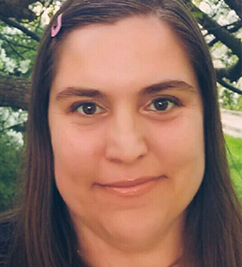 Before joining WIDA, Andrea has taught a variety of subjects (English Language Arts, Math, Social Studies, Science, Chinese and Japanese) to a range of grade levels in Wisconsin, China, India, Japan and Taiwan. She holds a bachelor’s degree in Chinese Language and Literature from the University of Oregon and a Master in International Public Affairs from the UW- Madison.